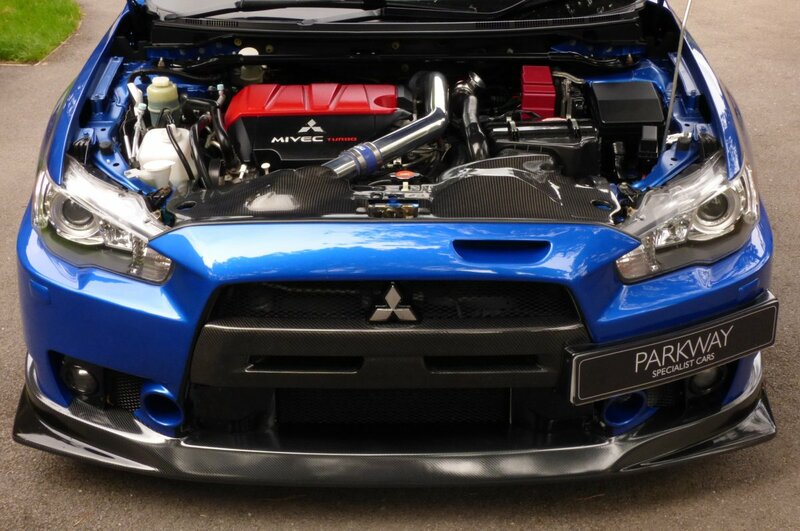 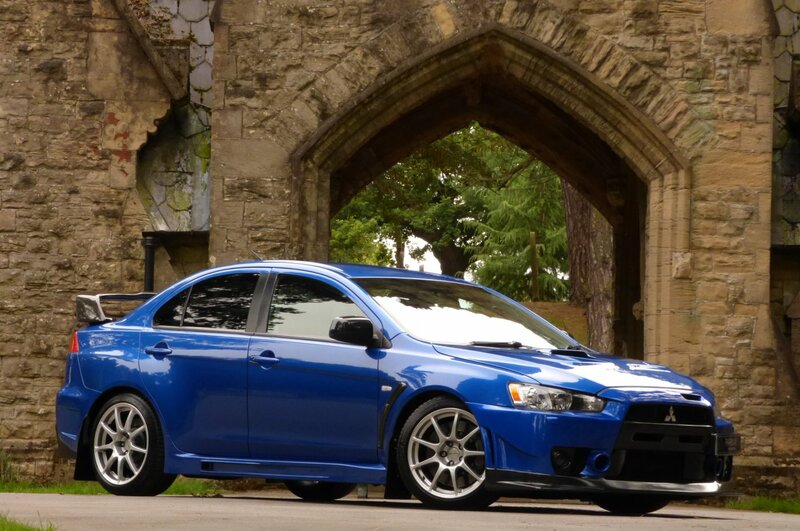 The Evo Or More Formerly Known As The Mitsubishi Lancer Evolution Was First Offered Purely To The Japanese Market In 1992, With The Glorious Squared Evolution I, But Due To The Cars Aggressive Nature Both On And Off The Track, More And More Global Buyers Wanted To Experience The Unique Rawness That Had Been Offered By The Assembly Plant At Okazaki, In Japan. 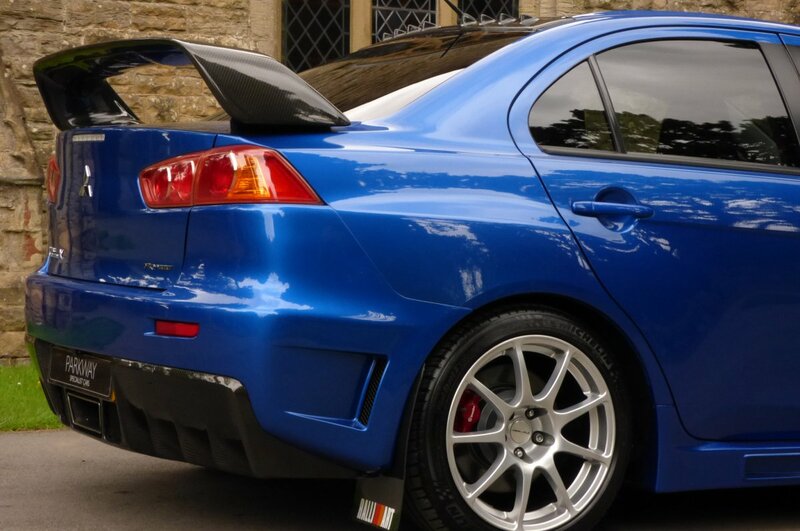 These Cars Had Everything To Please The Purist Of Drivers, With Extreme Body Detailing, World Class Japanese Build Quality And Of Course Ample Power That Would Give The Company`s Main Rival, Subaru A Damn Good Run For Their Money And Was Hugely Successful As A World Winning Rally & Track Car, Winning Numerous Awards For The FIA International Hill Climb Cup And Was Purchased By Private Individuals That Wanted To Perhaps Test Their Own Levels Of Driving Capabilities To The Full. 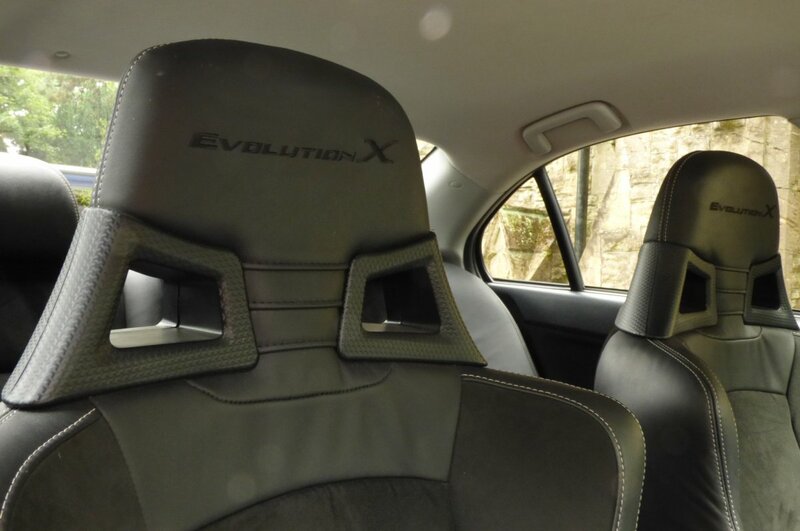 Over The Years There Have Been Numerous Evolution Models All Of Which Had Been Decorated With Roman Numerals, All Improving Over The Years With Brake Horse Power, Updated High Speed Handling And Evolving Technology That Easily Adapted To Various Ever Changing Road Conditions Presented To That Professional Driver Or The Private Driver On This Daily Commute. 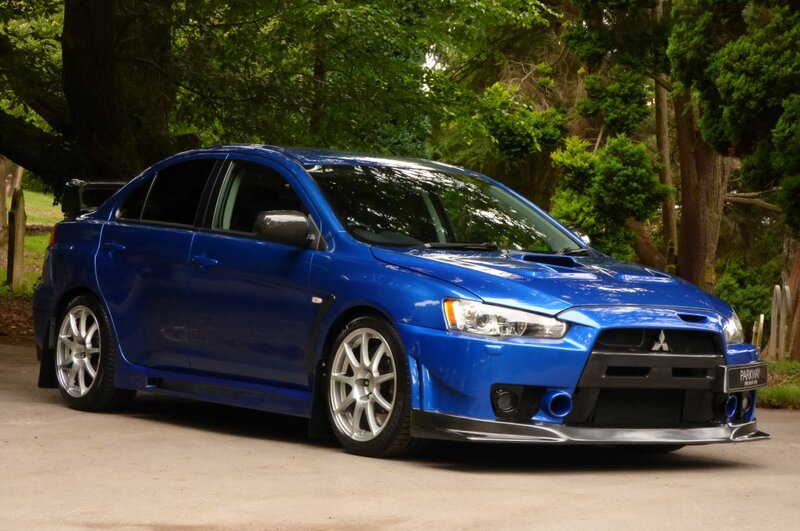 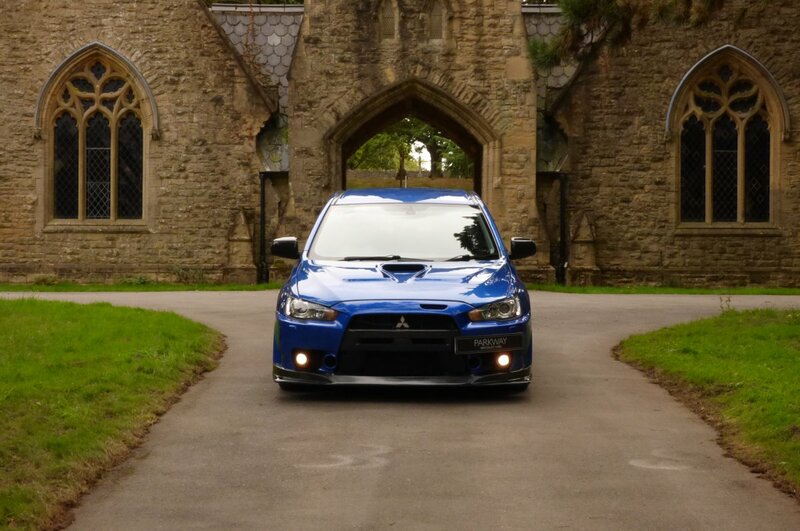 All Models Now Play Their Own Part In The History Of Mitsubishi, Leaving A Strong Legacy That Will Never Possibly Be Beaten On Advanced Development. 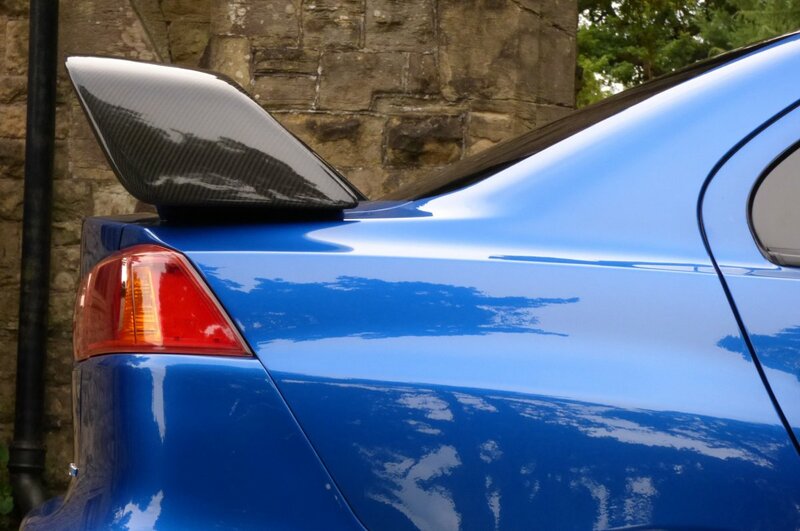 If We Fast Forward To 2018 Ever Number Is A Highly Important And Integral Part In Their Own Right To The Automotive Story. 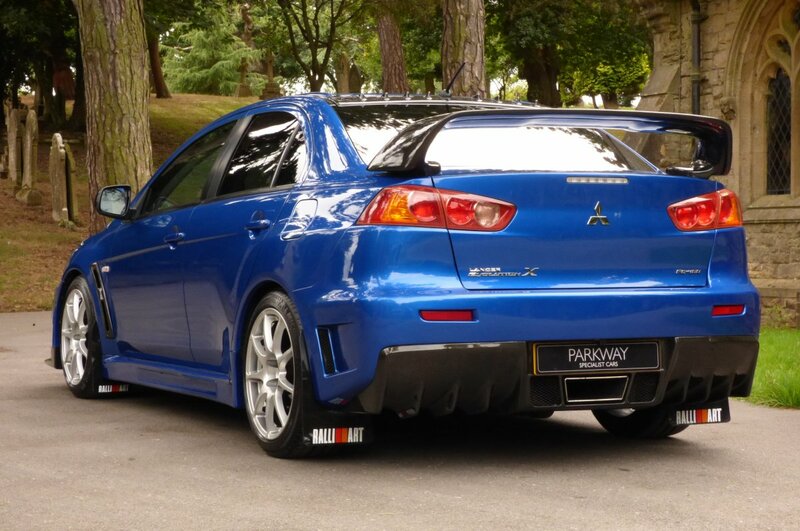 In 2005 At The 39th Tokyo Motor Show The Mitsubishi Lancer X, Code Named The Concept X Was Showcased To The World As The Next Generation Of This Now Recognisable Japanese Brand And Is Now Viewed As Being The Ultimate Of All Ten Models Conceived, With Gifted Engineers Using Wisdom And Advanced Technology, With Many Man Hours Of Pain Staking Development In Creating A Vehicle That Improved On An Already Perfect Model, But Still The UK Had To Wait Until The March Of 2008, Before Eager Buyers Could Acquire Their Own Example From The Ralliart Dealers. There Was Different Variants Of The Evolution X, Some Being More Main Stream Than Others, But Still There Was An Option For Rarity With Some Models Like The FQ-400 & FQ-440 Being Supplied In Staggeringly Low Numbers And Today These Special Cars Have Become Highly Desirable On The Modern Day Collectable Marketplace, With Established Worldwide Private Vehicle Collections Demanding One Of These Few Cars To Be An Important Part Of Their Own Inventory. 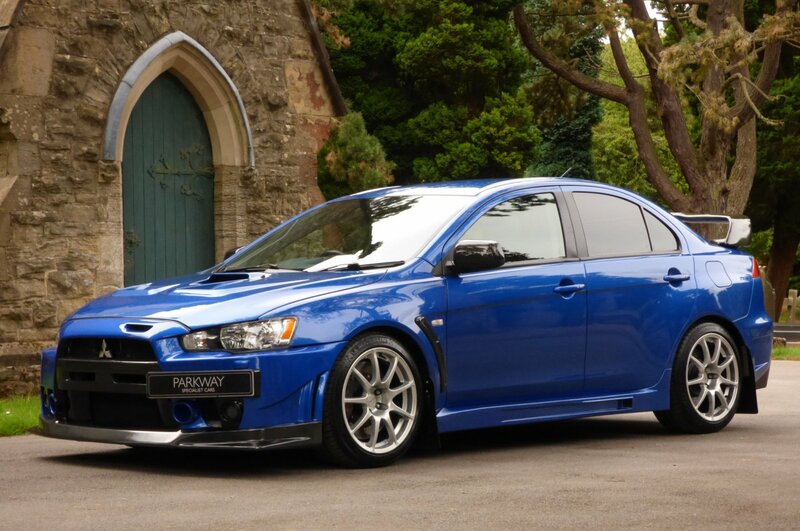 The Evolution FQ-400 Is Definitely One Of Those Holy Grail Cars With Just 35 Examples Ever Produced And Upgraded In The UK, With These Cars Starting Their Lives As Mitsubishi Lancer Evolution X GSR FQ-300 And Then Upgraded To The Official Classification Of FQ-400, With The Certifications Of Upgrade Being Very Important To The Cars Past History Trace. 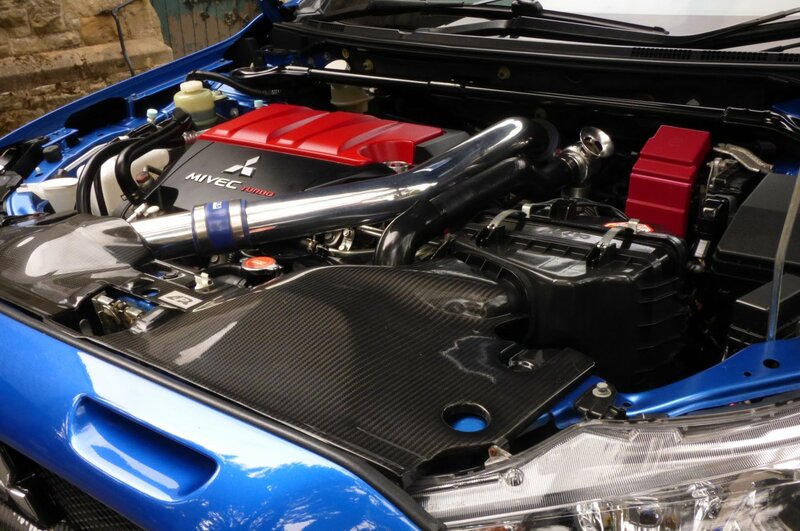 With Over 500 Hours Of Development Time To Re-Map The Standard ECU Unit, With A Bespoke Low Friction Conversion To The Turbo System, The Two Litre Aluminium Block Generated A Remarkable 403 Brake Horse Power With 387 lb ft Of Torque, Which Resulted In Acceleration From 0-62 MPH In Just 3.8 Seconds And Then Would Thunder To An Electrically Limited Top Speed Of 155 MPH, With All This Power Perfectly Controlled By The Full-Time Four Wheel Drive With The Super All Wheel Control System. 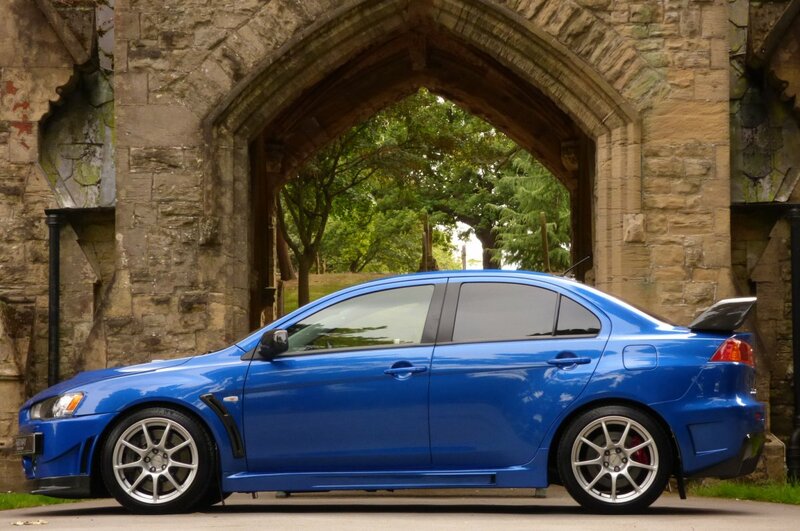 The FQ-400 Was Adored By Many And Ever Clarkson Reported To Have Said That This Rare Model Was " Monumentally, Towering, Eye Wateringly Brilliant", With Many Finding It Hard To Believe, But The Most Electrifying, Intoxicating, Utterly Awe Inspiring Production Four Door Saloon In History Just Got Even Better. 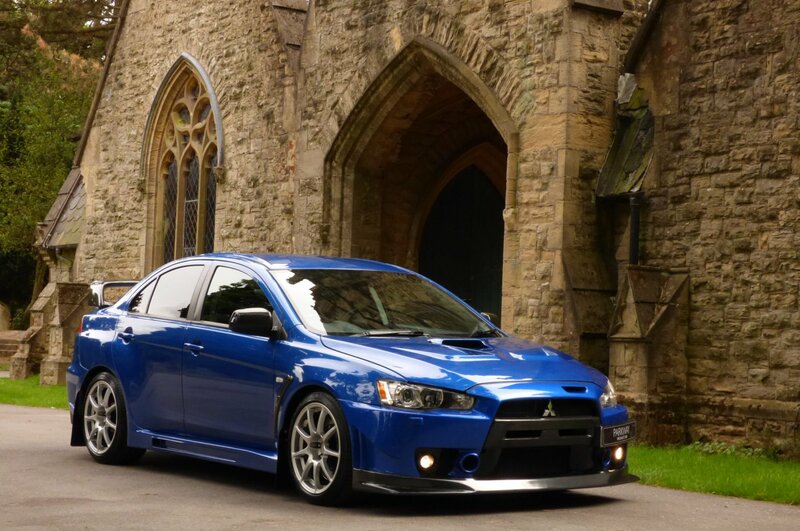 This Authentic FQ-400 Was First Supplied By Station Garage Mitsubishi In The July Of 2009 And Since This Date Of First Registration Our Stunning Example Has Had Just The Three Private Keepers From New, With The Last Acquiring This Very Rare Car In The November Of 2017. 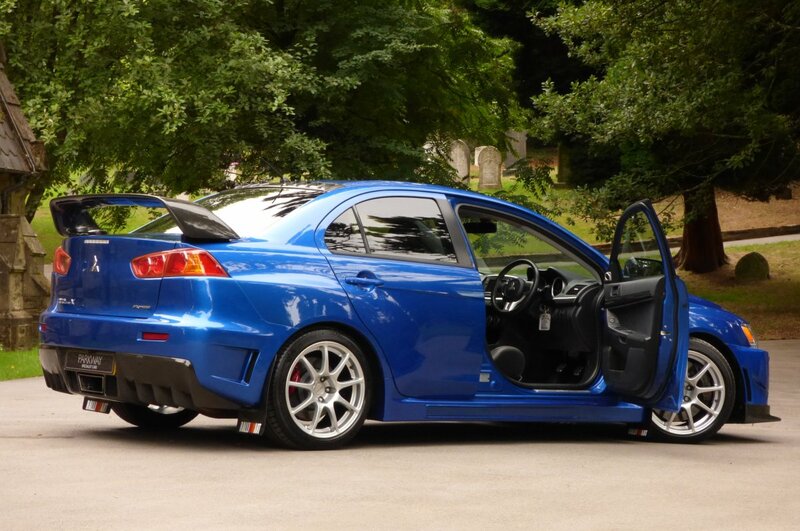 Over The Last Nine Years Chassis Number 0003089 Has Had Just 28462 Miles Applied, To Which If We Break This Down Further Is Approximately Just 3162 Miles Per Annum, However Regardless Of This Current Sensational Mileage Reading This Example Has Been Treated To An Extensive Past Historical Service Inventory With Visits Logged At 1001, 3364, 6405, 8153, 10356, 12083, 14406, 16366, 19329, 21728, 22711, 25086 & 27240 Miles, With The Last Completed In The June Of 2018. 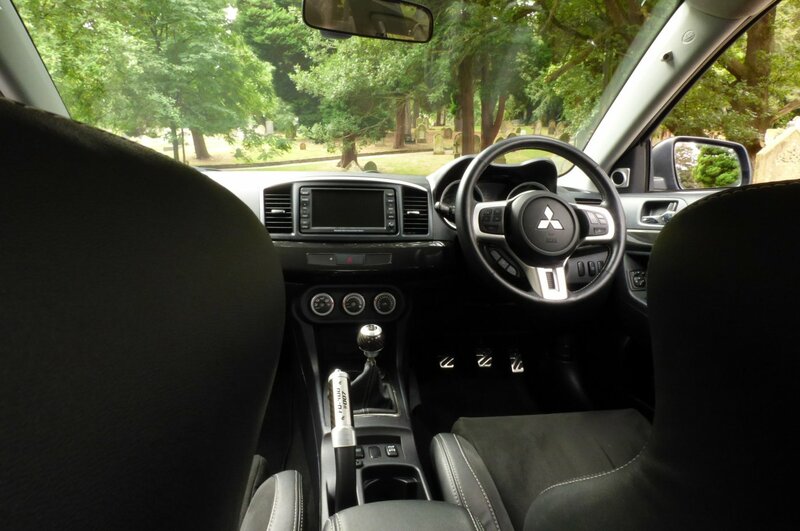 Not Only Is This Car Presented With A Fully Stamped Service Booklet, But We Also Have An Extensive Past Invoice File Containing Many MOT Test Sheets, Service Invoices With Completed Service Car Checks Sheets, A Letter Of Authenticity From Mitsubishi Motors Validating This Example As Being A Genuine FQ-400 And The Original Dealer Sales Brochure. 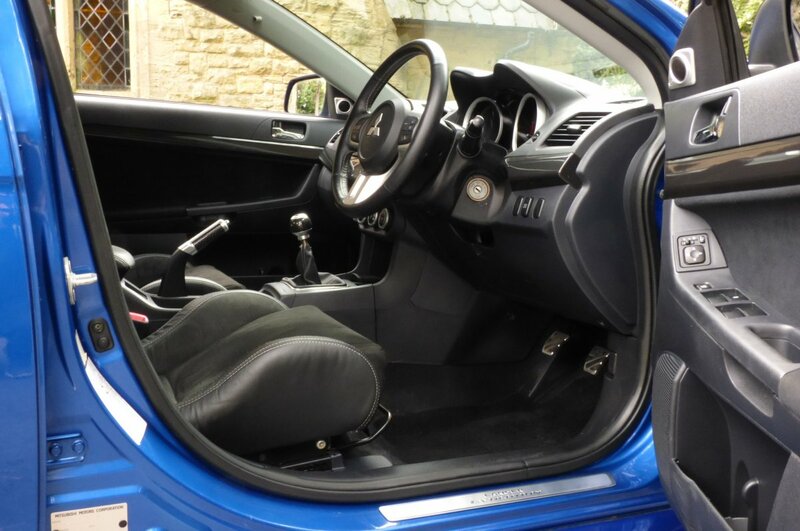 Once Sold The Vehicle Will Be Offered With The Entire Booklet Pack Set, A Fully Cleared Hpi Certificate And A Fully Functional Key Set, Which Is All In Place For That Next Lucky Custodian To Keep And Cherish During Their Own Time Of Ownership. 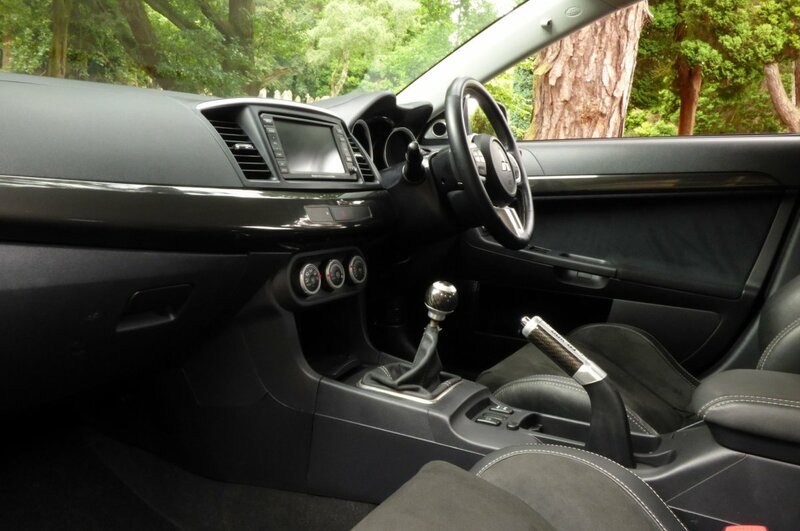 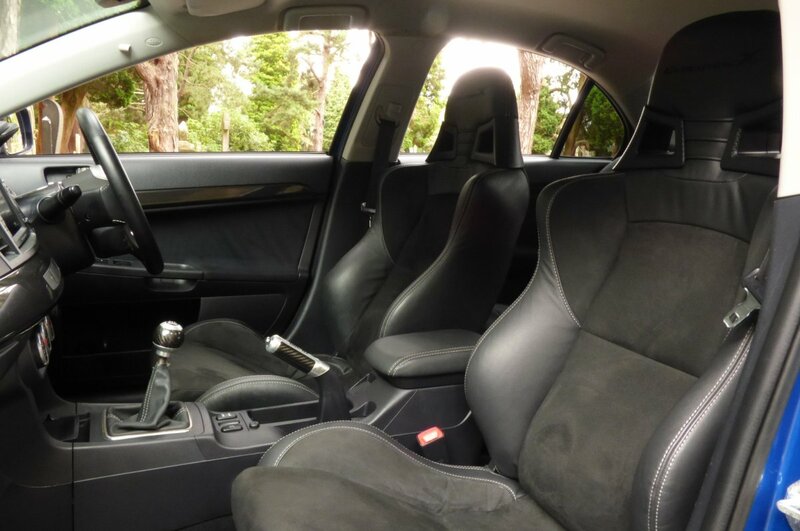 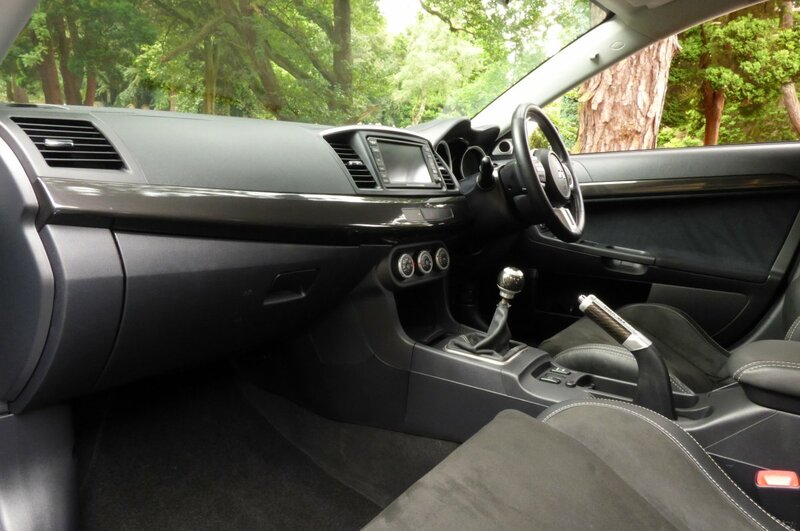 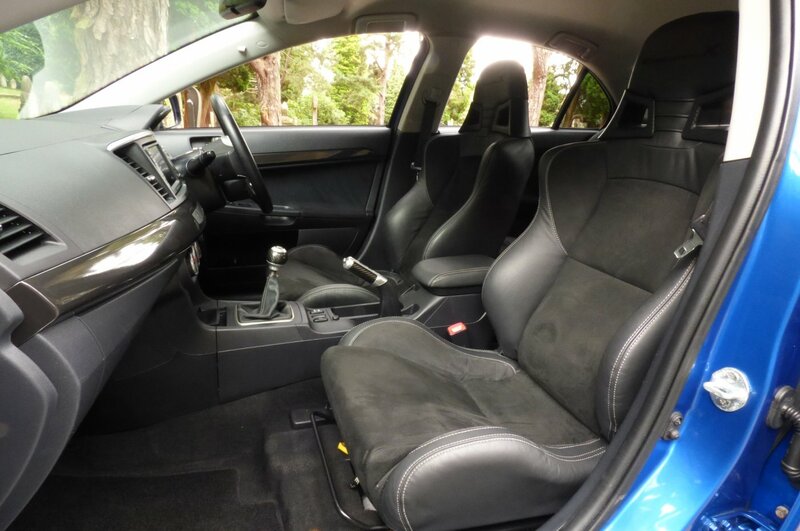 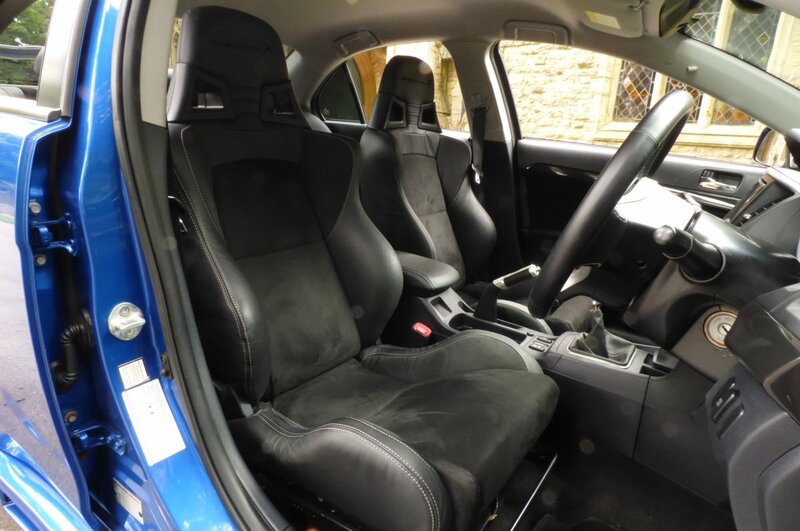 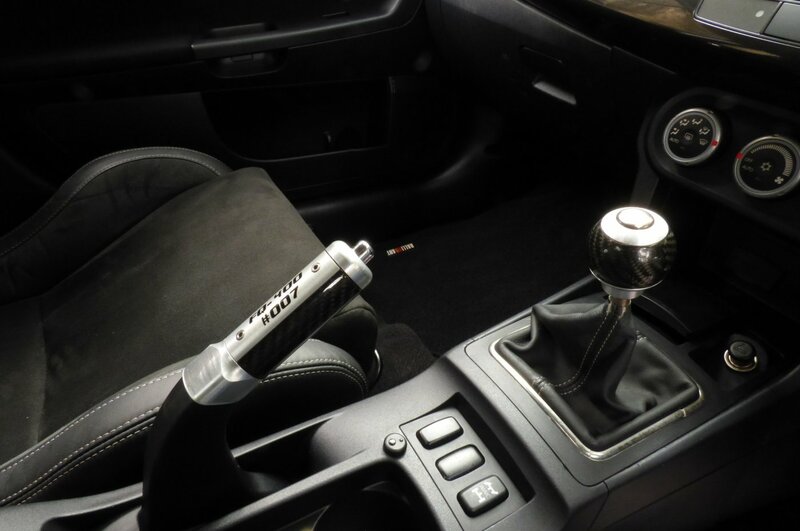 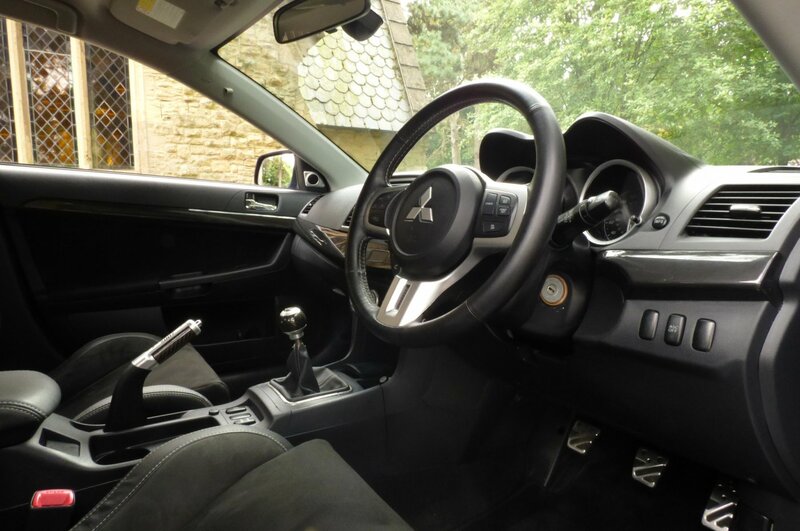 The Interior Of The Mitsubishi Evolution FQ-400 Is A Truly Special Affair, Offering The Driver A Comfortable Usable Cabin With Exciting Detail, That Will Make Any Journey Highly Engaging And Perfectly Controlled Time & Time Again. 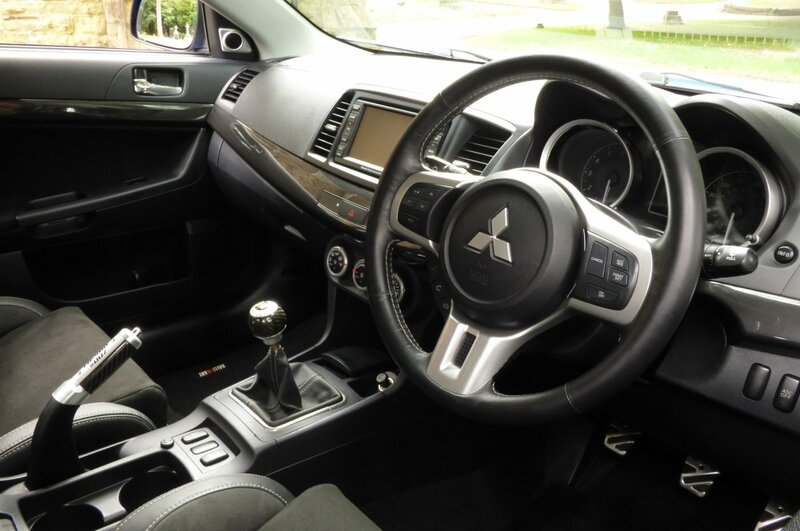 From Factory Build This Example Is Presented With The Cost Optioned Evolution Embossed Carbon Fibre Two Toned Black Leather & Techno Suede Sport Seating Beautifully Complemented With Silver Twin Needle Stitch Detail, The Black Dash That Wraps Around This Inviting Cabin, Black Carpets That Have Been Protected With The Official Mitsubishi Over Mats, Black Techno Suede Trimmed Door Card Covers, The Light Grey Fabric Roof Lining, The Metal Turned & Carbon Fibre Hand Brake Lever Individually Numbered, Black Faced Dials With White Numerals, The Three Spoke Leather Bound Multi Functional Steering Wheel Decorated With Aluminium, The Metal Turned & Carbon Fibre Gear Knob, Black Seat Belts, Metal Turned Mitsubishi Pedal Set And Decorated With Polished Piano Black Internal Veneers, That Complete This Striking Interior Off So Very Well. 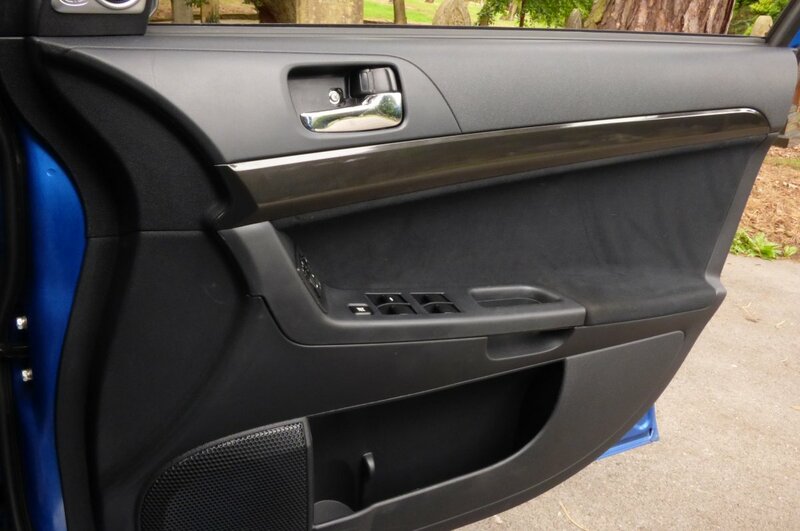 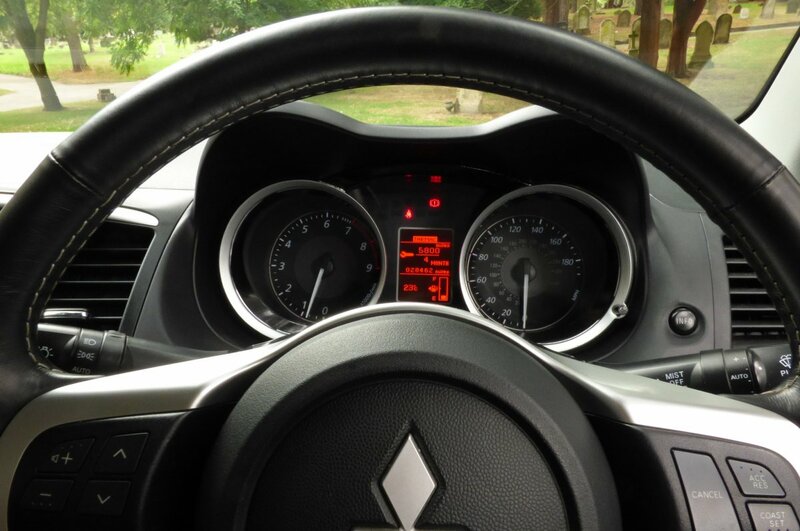 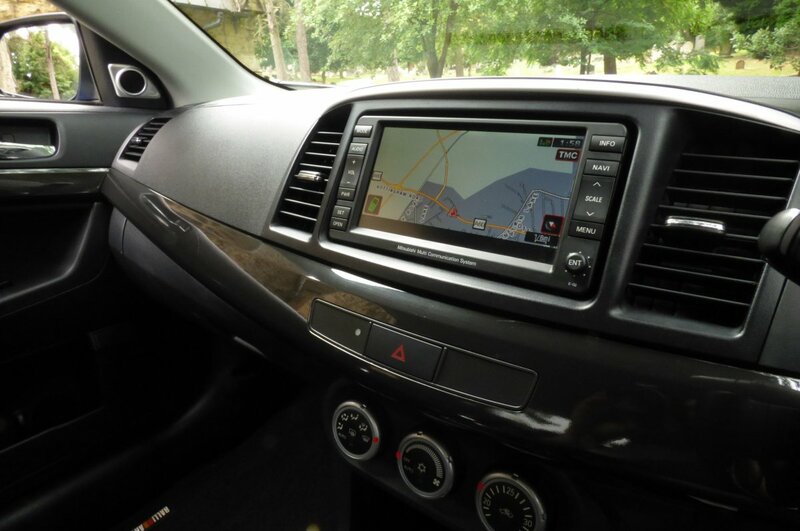 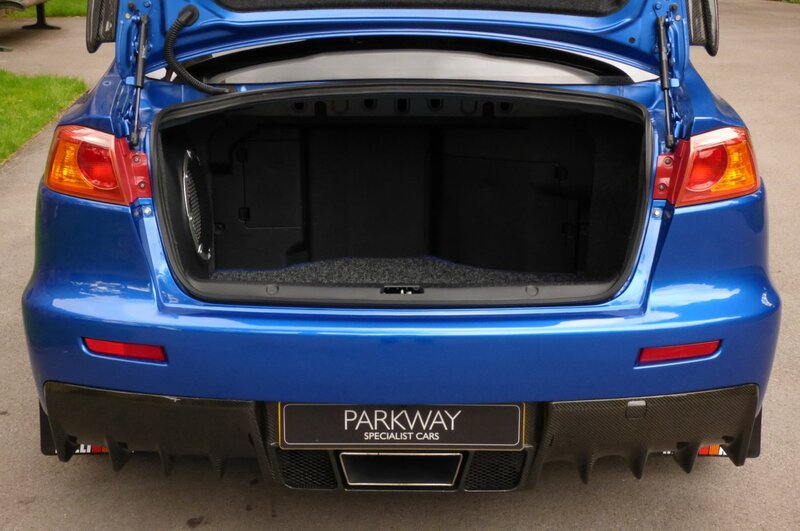 The Car Also Boasts An Excellent Array Of Important Factory Fitted Technology, Perfect For That Drive Into The City Or As The Ideal Weapon To Tackle That Planned European Road Trip. 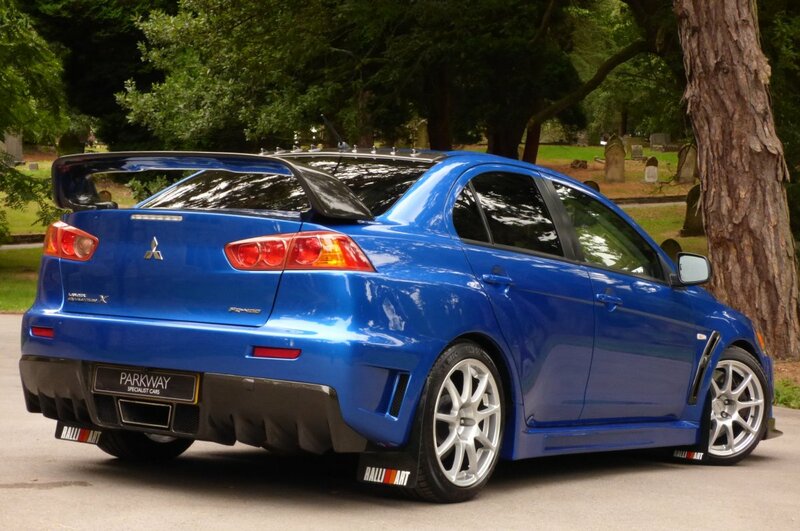 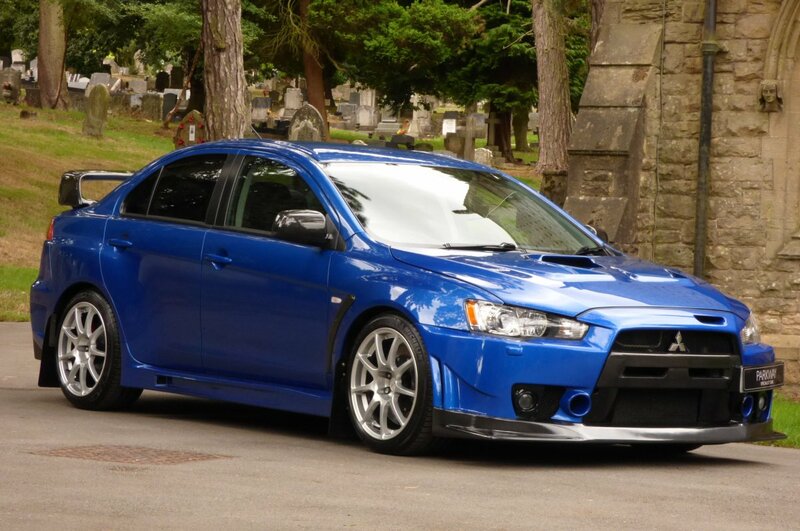 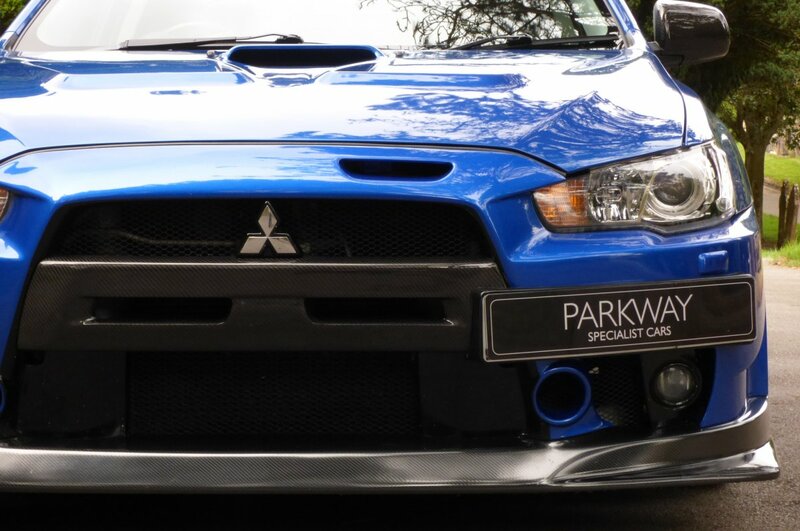 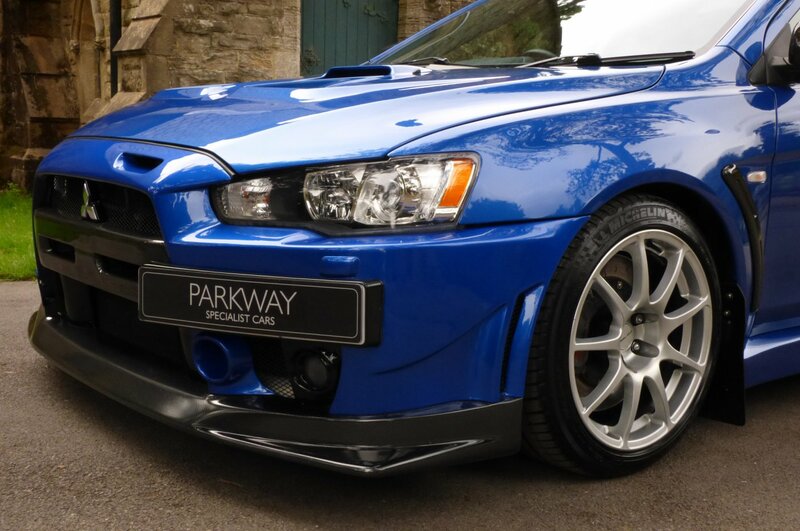 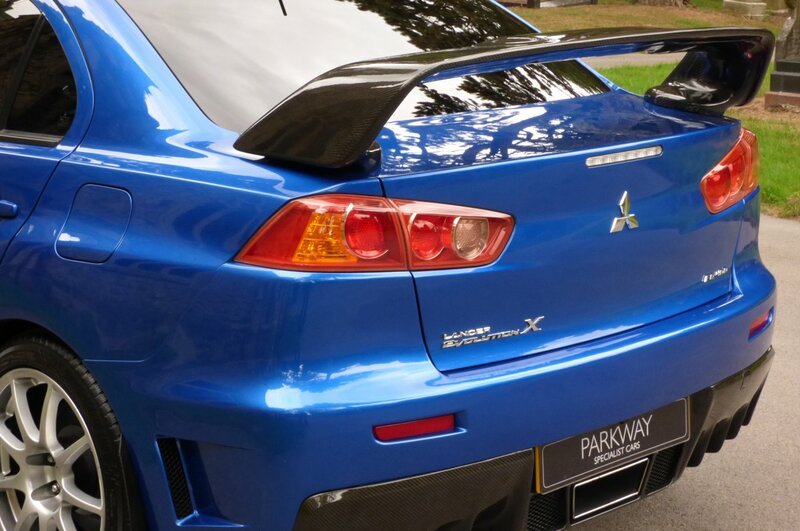 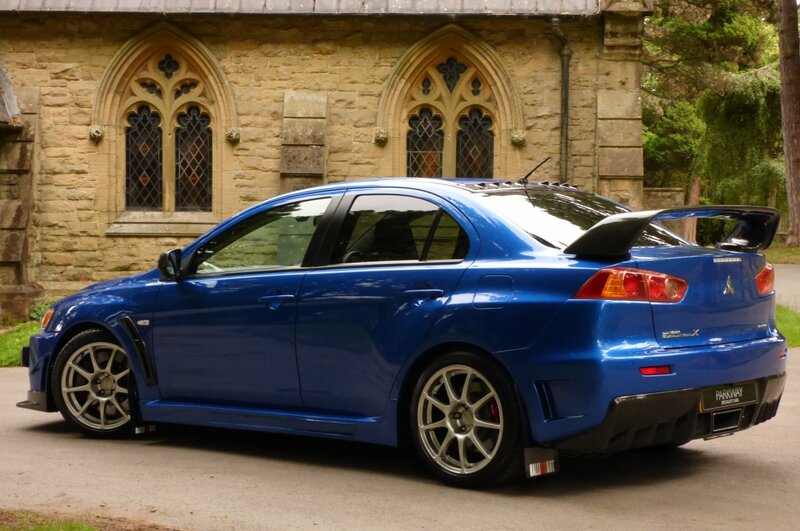 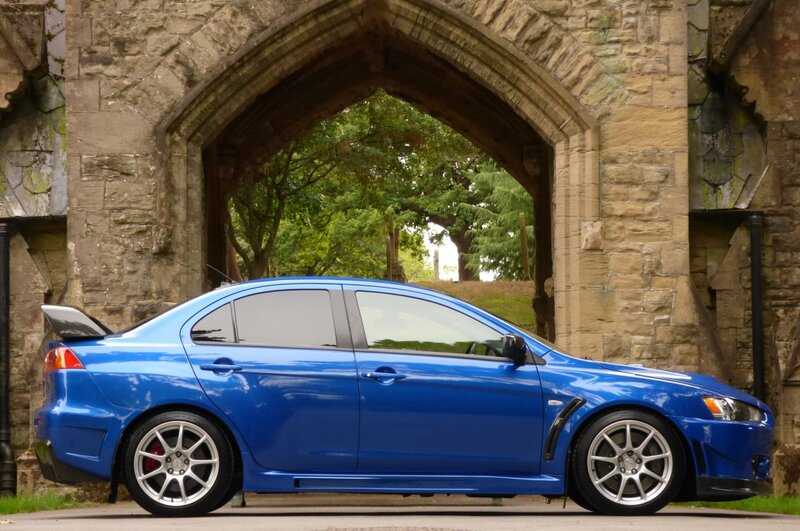 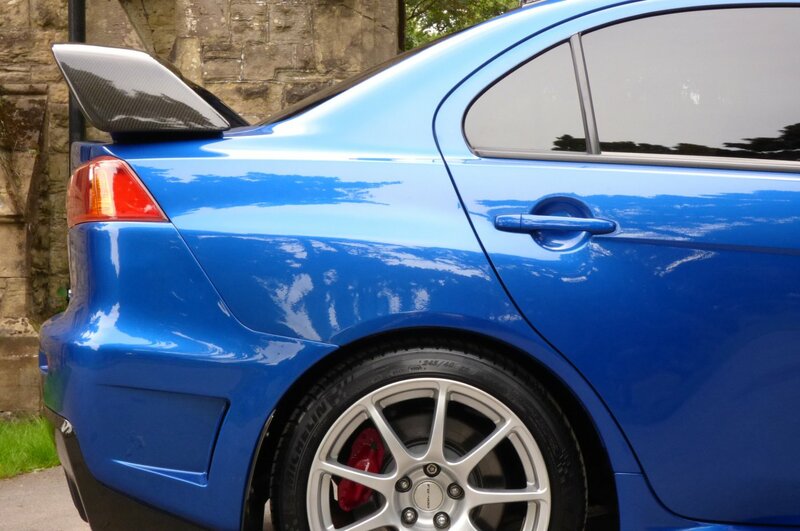 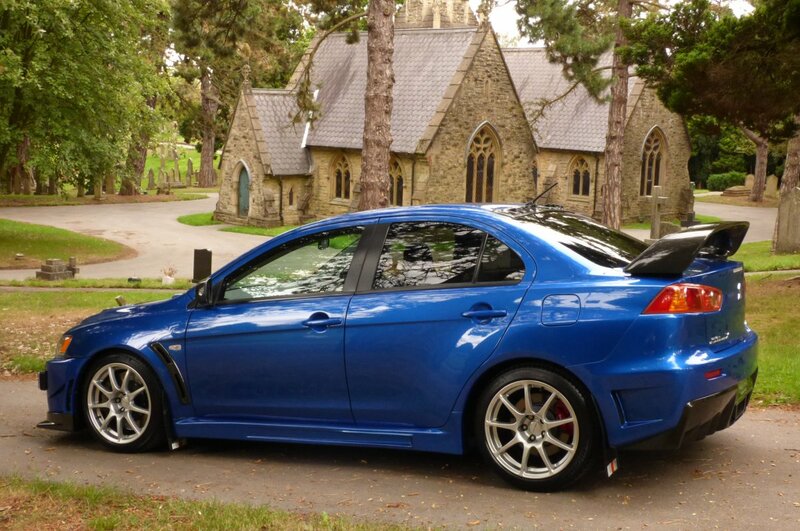 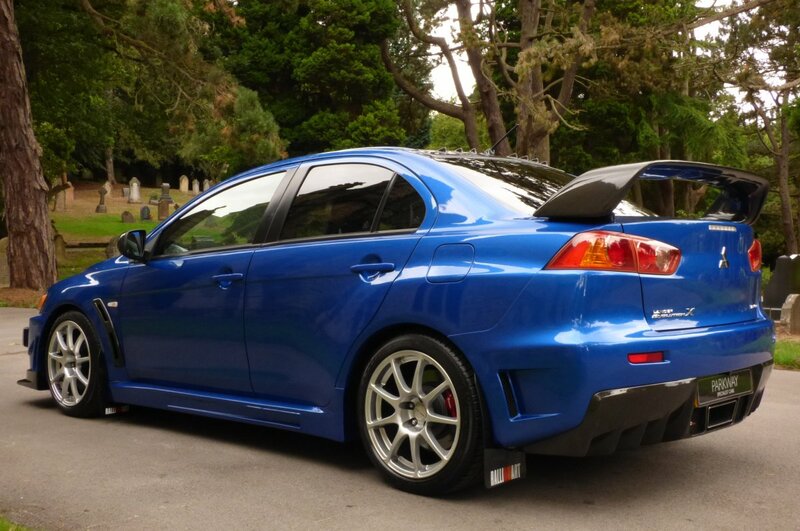 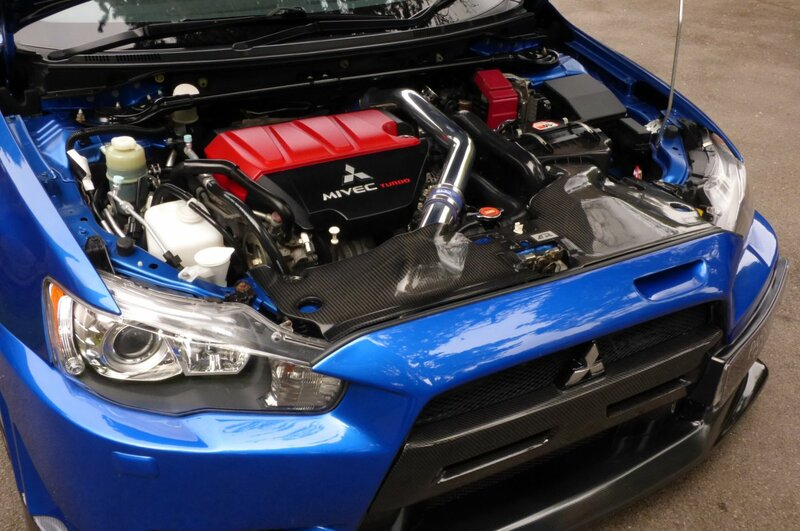 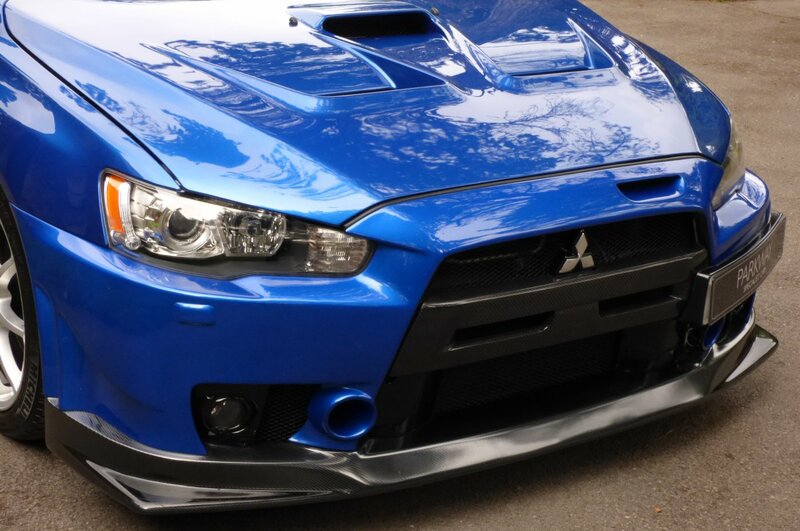 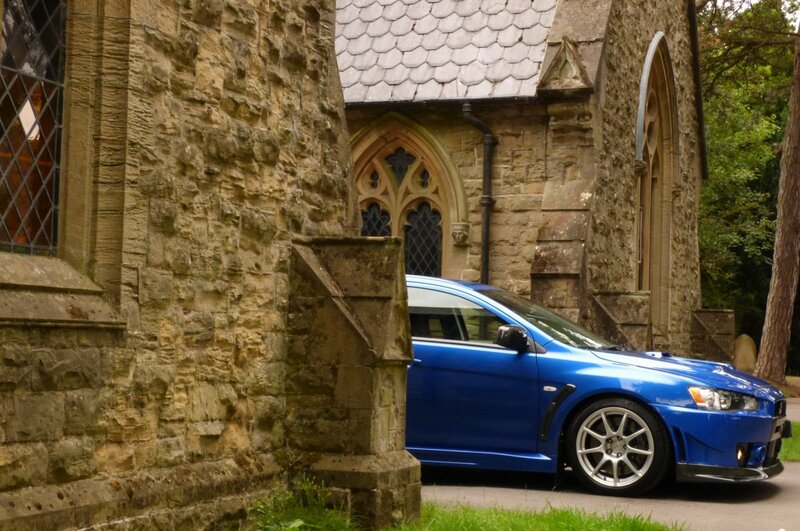 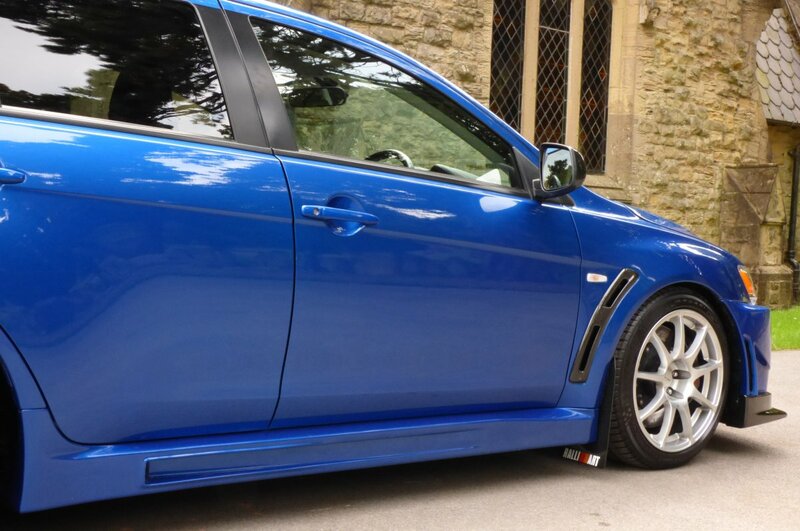 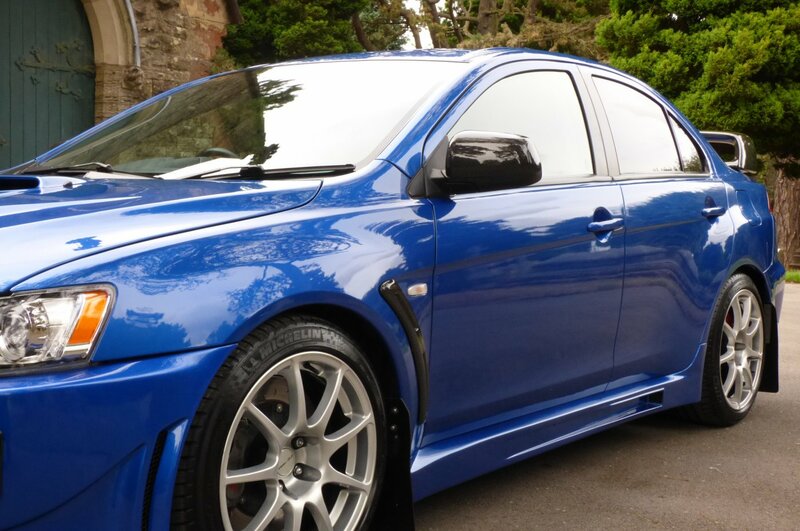 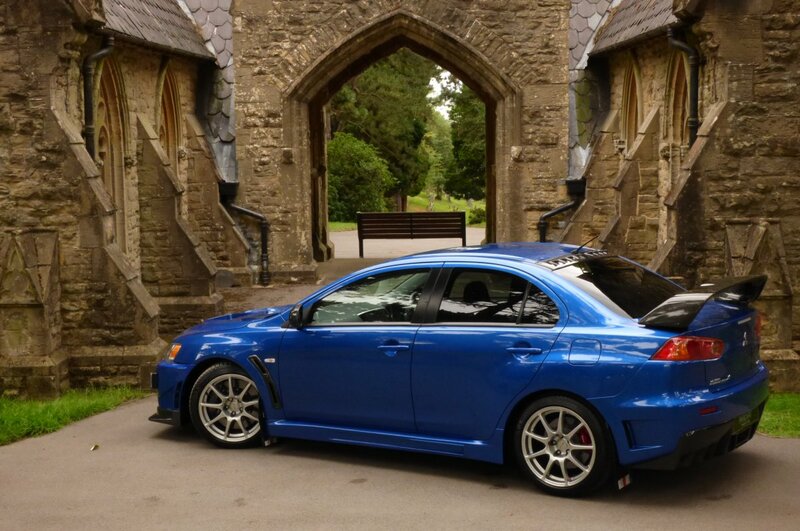 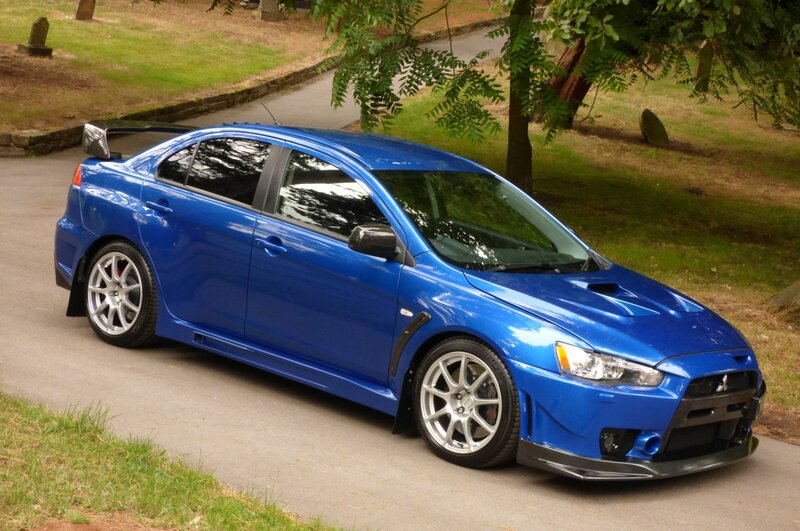 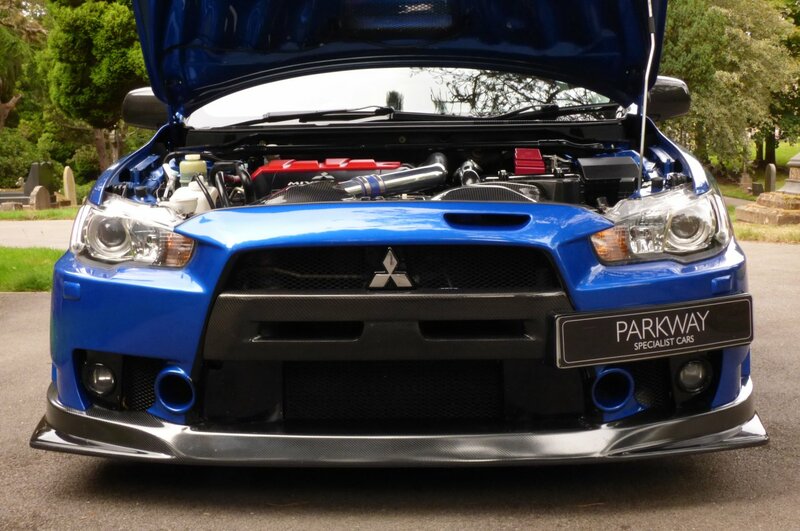 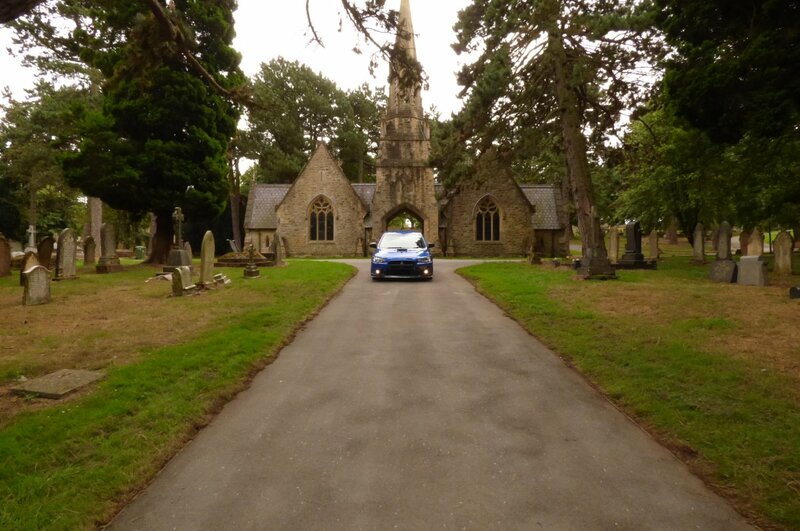 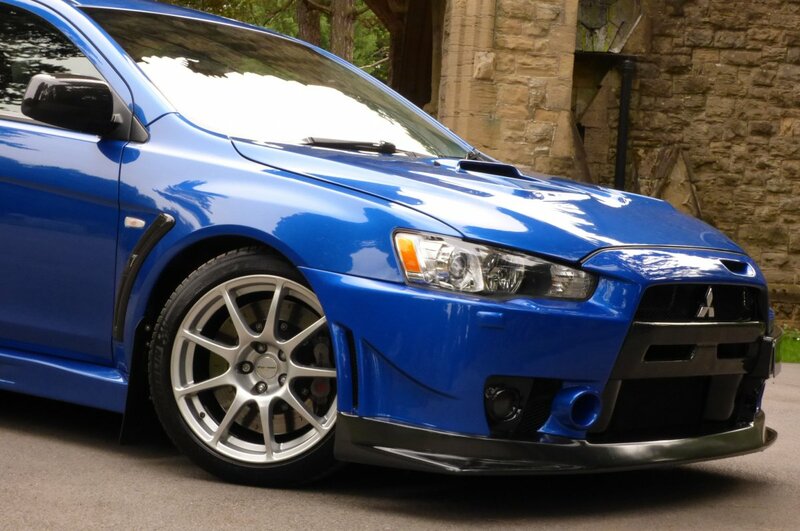 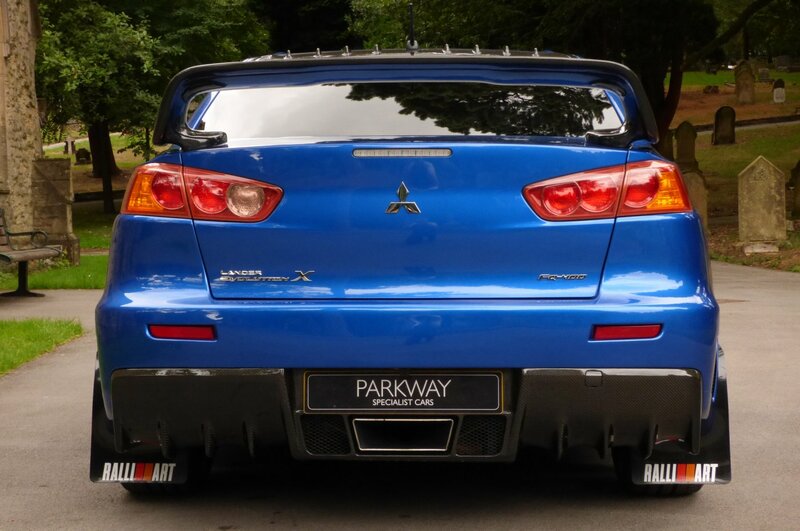 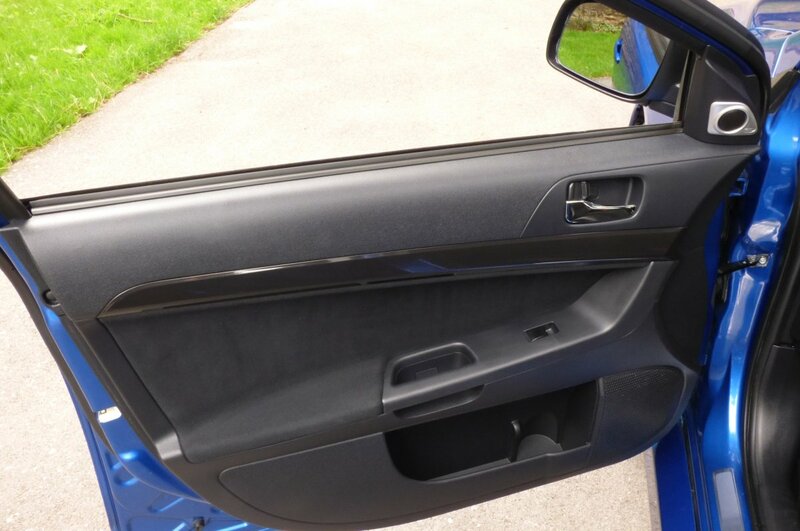 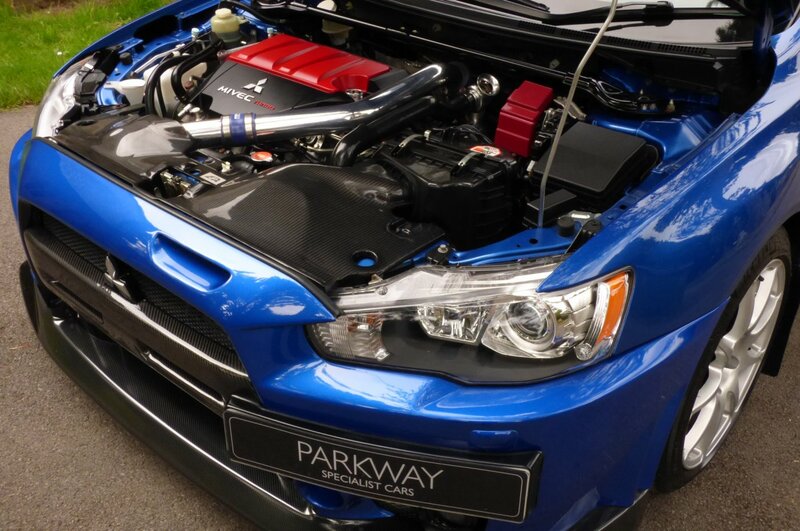 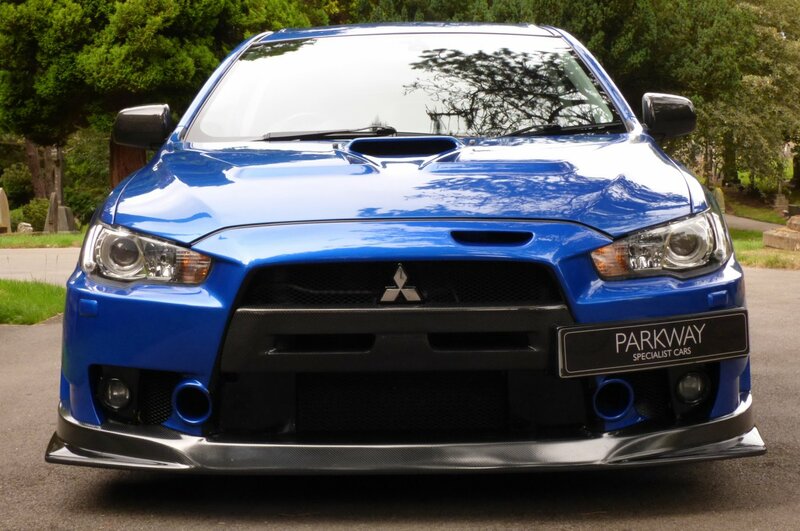 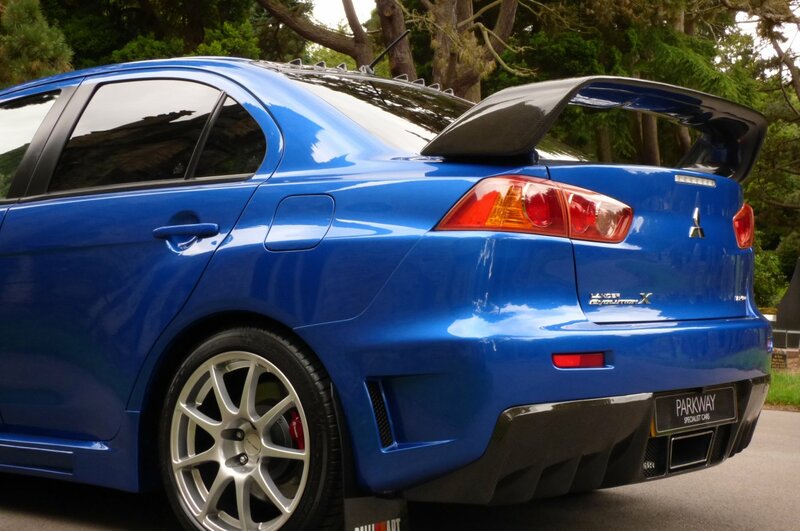 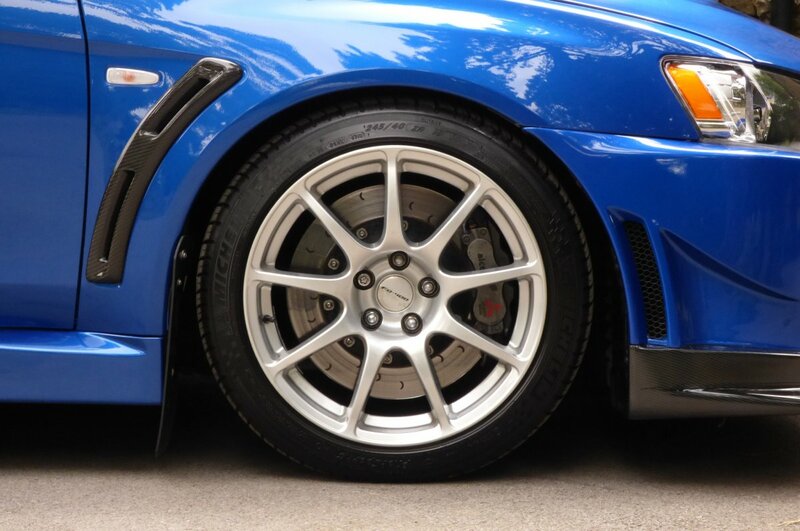 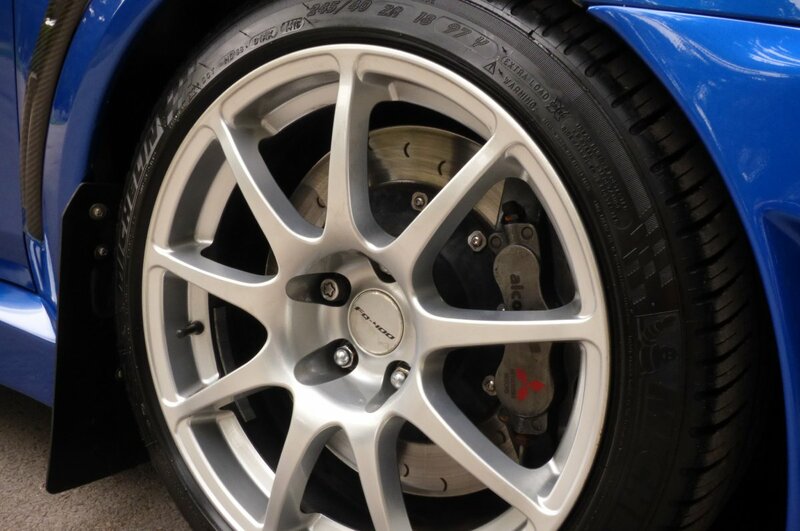 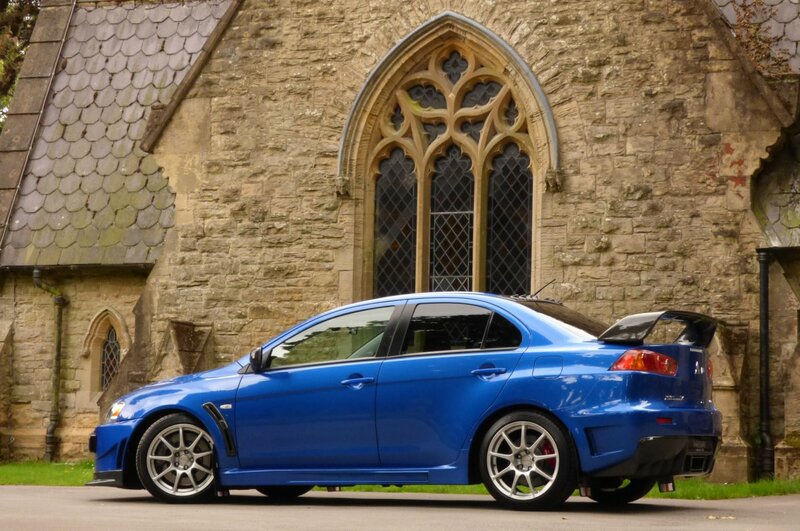 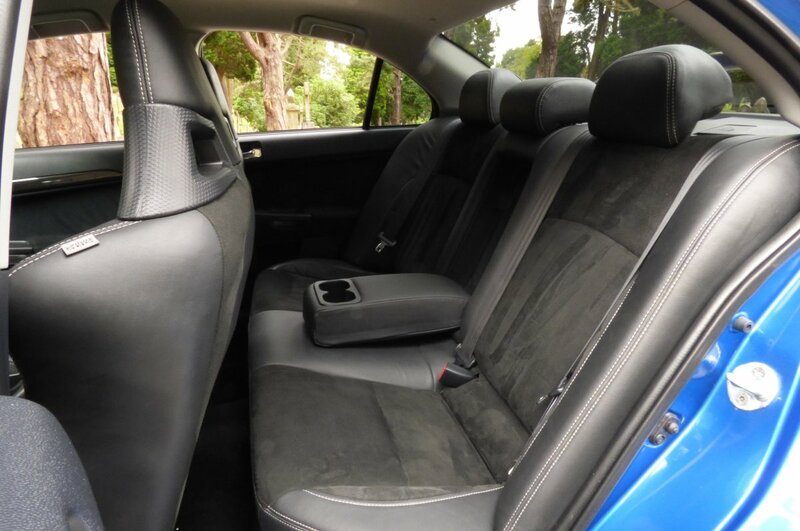 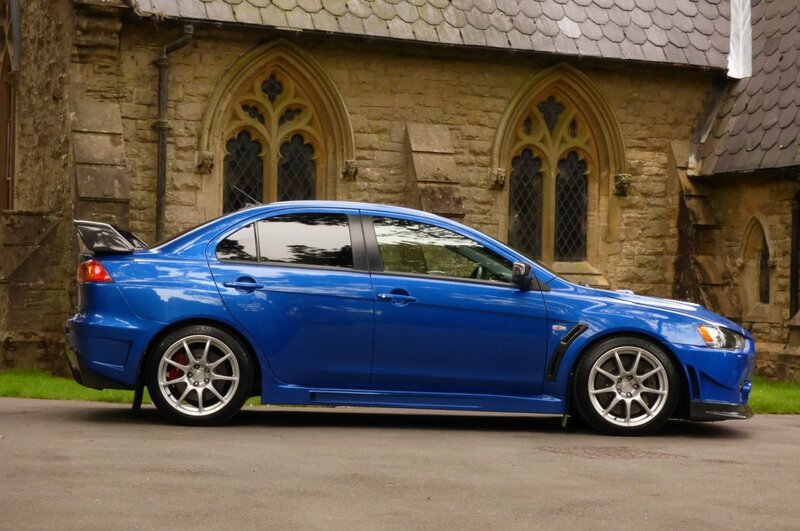 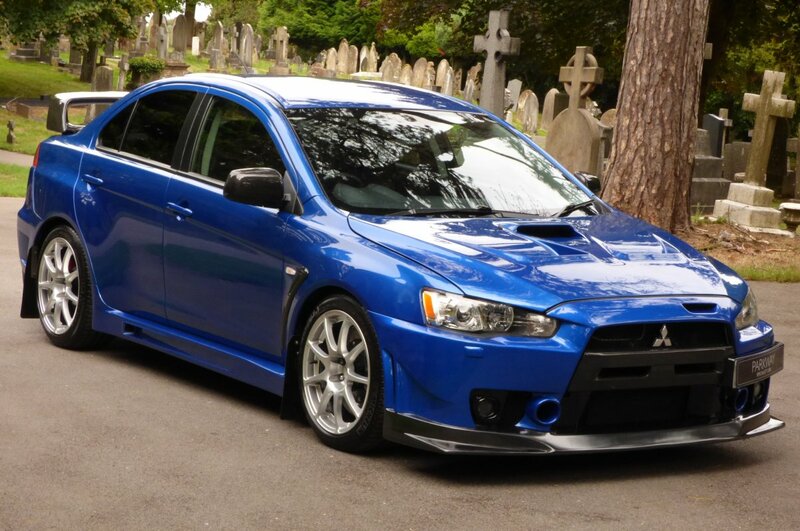 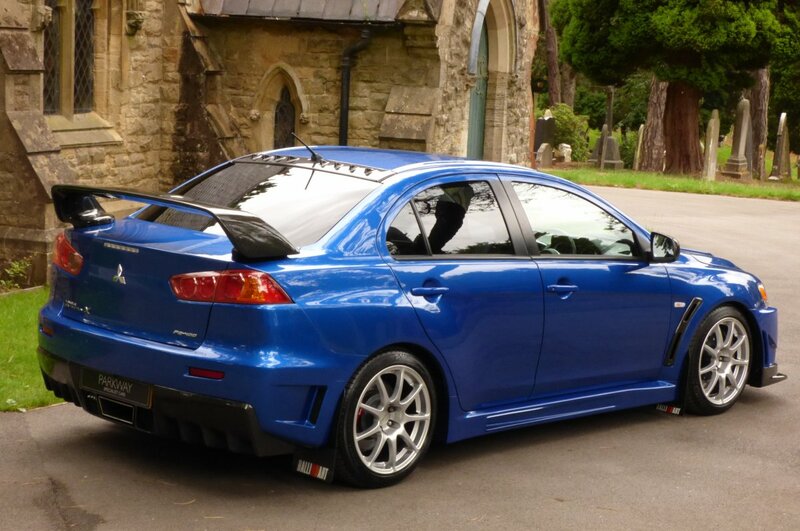 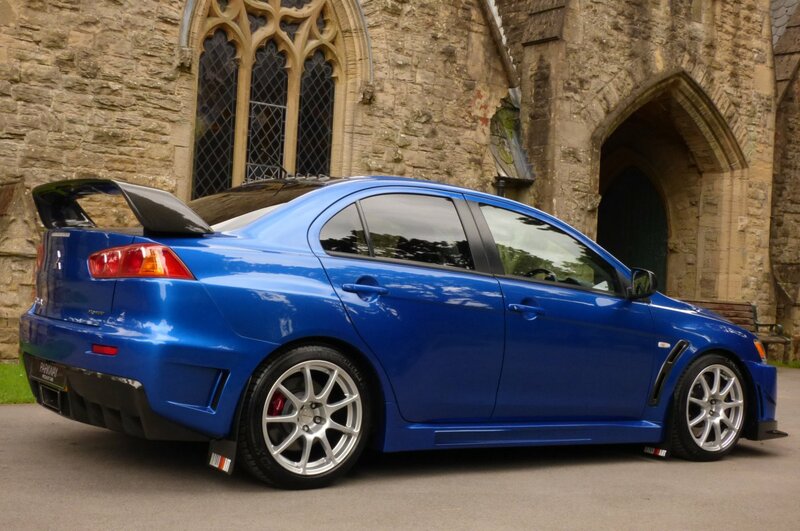 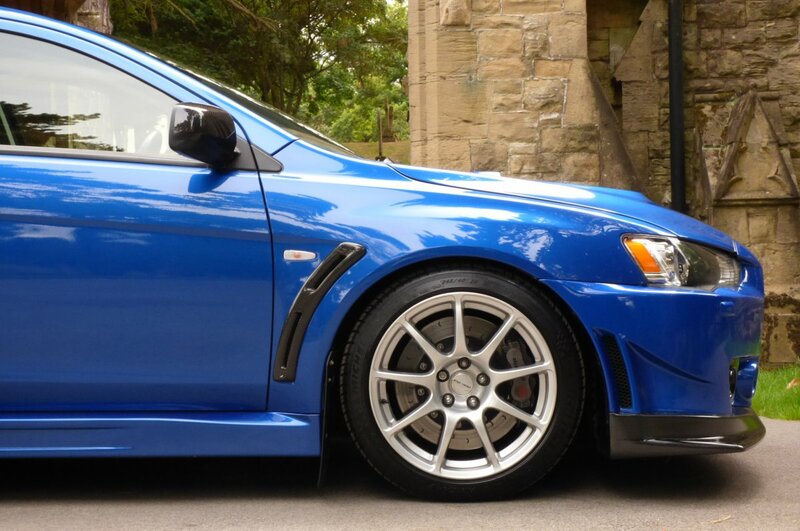 The Aggressive Body Is Presented In The Lightning Blue Metallic, Which Is A Fabulous Colour Finish In Showcasing The Dramatic Lancer Lines, Those Powerful Evolution Curves And Spectacularly Highlights All The Factory Carbon Fibre Detailing To The Maximum. 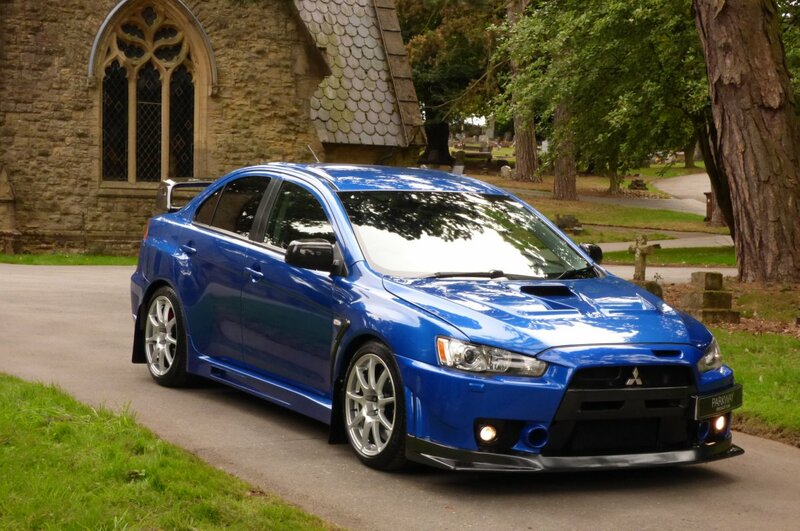 Further Exciting Less Subtle Exterior Detailing Is Presented With The Unmarked Silver Finished Lightweight 18" Nine Spoke Excalibur Multi Spoke Alloy Wheels Which Are All Wrapped On Branded Tyres, The Colour Coded Evo VI Inspired Bonnet With Multiple Engine Air Vents, The Roof Mounted Sharks Tooth Carbon Fibre Vortex Generator Spoiler, The Chromed Finished Centre Exit Single Exhaust System, The Colour Coded Additional Air Scoop On The Front Bumper Top, Carbon Fibre Door Mirror Cases, Colour Coded Lower Sill Covers With Blackened Mesh Grilles, Sculptured Rear Bumper Air Dams, Carbon Fibre Front Bumper Lower Valance, Blackened Alcon Embossed Six Pot Brake Calipers, The Carbon Fibre Rear Bumper Lower Valance, The Chromed Three Pointed Diamond That Signifies The Mitsubishi Brand Dominating The Nose, The Carbon Fibre High Level Rear Boot Spoiler, Ralli Art Black Mudflaps, Factory Sun Protection Privacy Glass And Finalised With The Chromed FQ-400 Motifs That Signify The Cars Powerful Capabilities. 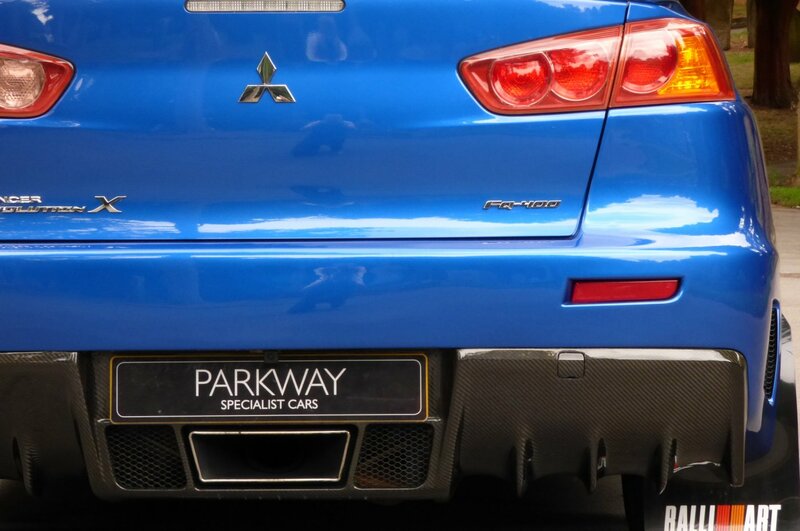 From Every Given Angle The Car Looks Dramatically Aggressive, With Detailing That Will Warn Off All Other High End Performance Cars, That The FQ-400 Is Coming Through, So Move Across. 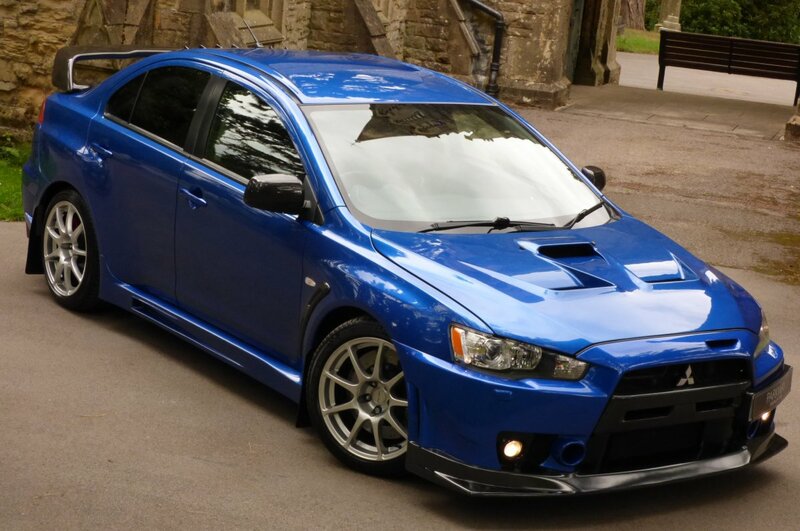 We Are Delighted To Offer This Very Rare FQ-400 Onto Our Current Vehicle Inventory With Options To Include The Full Colour Multi Communication System With Satellite Navigation Function, Dual Zone Climate Control, Cruise Control, Three Spoked Black Leather Bound Multi-Function Steering Wheel, Xenon Headlights With Power Wash Function, Bluetooth Phone Preparation, Rockford Sound Package, Electric Folding Mirrors, Unmarked Silver Finished Lightweight 18" Nine Spoke Excalibur Alloy Wheels, Embossed Aluminium Sill Cover Plates, Rain & Light Packs, Remote Central Locking With Alarm, The Numbered Carbon Fibre & Metal Turned Hand Brake Lever, Mitsubishi Metal Pedal Set, Extensive Factory Carbon Fibre Exterior Detailing, Centred Chromed Exhaust Pipe, Alcon Embossed Brake Calipers And So Much More. 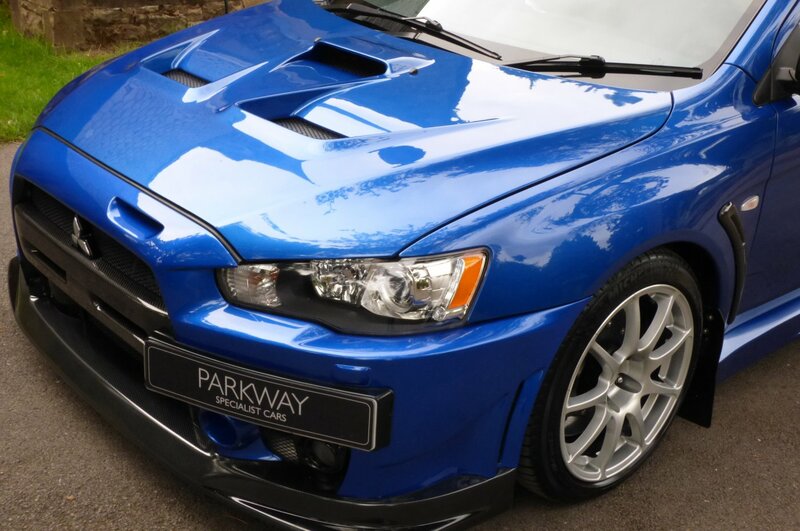 Presented For Sale With A Perfect Past History Trace, A Fully Cleared Hpi Report And A Fully Functional Key Set.